Situated in Sapa district, Lao Cai province, Vietnam, Sapa is a colorful harmonious picture of natural landscapes, unique terrain, and green forests. Still hiding its own beauty, Sapa is actually a paradise needing to be explored. Sapa is an upland town, a famous resort in Sapa district, Lao Cai province, Northwest Vietnam. It still contains many hidden wonders of the nature, natural landscapes with the terrain of hills, the green of forests, creating a colorful harmonious picture. Romantic and attractive scenery in Sapa is the embodiment of Northwest nature and people. Geographical location: Sapa district retains a natural area of about 67.864 ha, accounting for 8,24% of Lao Cai's natural area. It is located in the geographical coordinates from 22007’04’’ to 22028’46’’ north latitude and from 103043’28’’ to 104004’15’’ east longitude. The region is adjacent Bat Xat district to the north with Van Ban district to the south, with Bao Thang district to the east, and with Than Uyen and Tam Duong - Lai Chau province in the west. 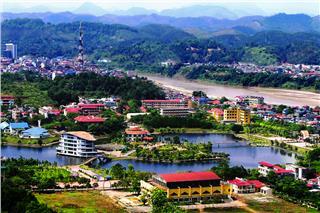 It is far about 37 km from the district center to Lao Cai city to the southwest, on 4D Highway from Lao Cai to Lai Chau. Terrain: Sapa has an average elevation from 1,200m to 1,800m. 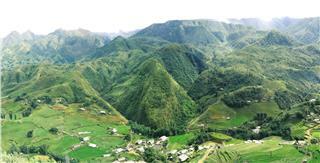 The terrain in Sapa gradually tilts and slopes towards the West - Southwest to Northeast direction. The highest point is Fansipan peak with the height of 3,143m and the lowest one is Bo spring with the height of 400m above sea level. 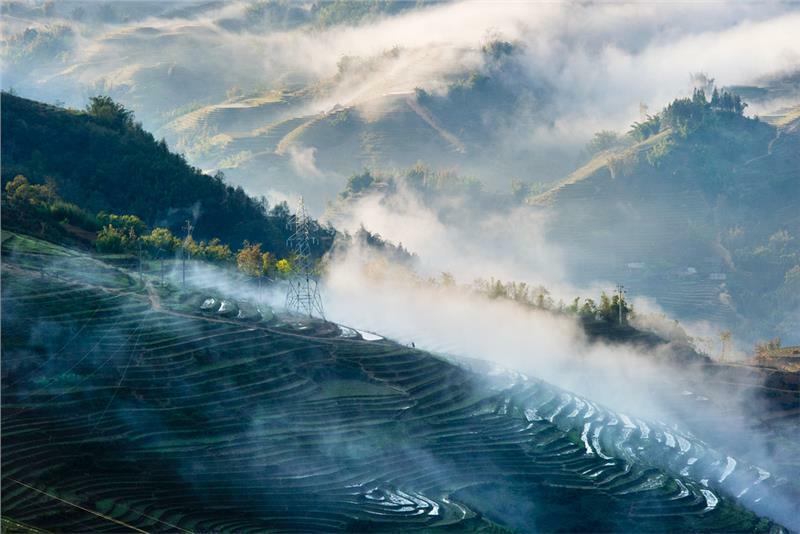 Climate: Due to the complexity and fragmentation of the topography and geomorphology, along with particular geographical location, the annual average temperature in Sapa is about 15,4oC; the average temperature is 18-20oC in the summer, and about 10-12oC in the winter. Particularly, the lowest temperature in January is 0°C (particularly sometimes down to - 3.20C). Because of heterogeneous characteristics on terrain, there exists different ecological zones and divergent temperature at the same time. In 1905, the French had collected the first information on Sapa geography, Sapa climate, flora and fauna...Sapa began be known for cool air, fresh and beautiful scenery. In 1909, a sanatorium zone was put into construction. In 1917, a tourism office is established in Sapa, and one year later, the French started constructing their first buildings. 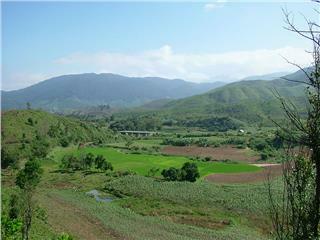 Then in 1920, the inauguration of Hanoi - Lao Cai railway line turned Sapa into the summer capital of the North Vietnam. In total, the French has been constructed nearly 300 villas in Sapa. In 2003, there are about 60 hotels with more than 1,500 operating rooms in Sapa. 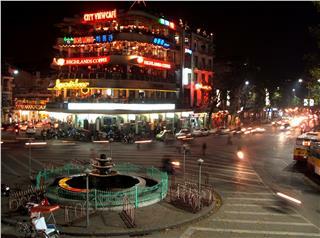 Accordingly, the number of tourists to Sapa gradually increased from 2,000 persons in 1991 to 60,000 persons in 2002. The district consists of 17 communes and 1 towns, including: Sapa district, Hau Thao Commune, Ban Phung Commune, Ta Phin Commune, Nam Sai Commune, Thanh Phu Commune, Sa Pa Commune, Lao Chai Commune, Trung Chai Commune, San Sa Ho Commune, Thanh Kim Commune, Ban Ho Commune, Su Pan Commune, Suoi Thau Commune, Ta Van Commune, Ban Khoang Commune, Ta Giang Phinh Commune, and Nam Cang Commune. According to the statistics in 2005, population in Sapa Vietnam is about 43,600 people with seven major ethnic groups, namely Hmong, Dao, Tay, Kinh, Day, Xa Pho (Phu La), and Hoa. Among them, Hmong ethnic people account for 54,9%. The percentage of other ethnic groups are relatively 25,6% of Dao people, 13,6% of Kinh people, 3% of Tay people, 1,6% of Day people, and the rest of other ethnic groups. Ethnic minority mostly resided in 17 communes, mainly living on agriculture, forestry and traditional crafts like brocade weaving, or bamboo and rattan weaving. Meanwhile, Kinh people predominantly have taken up residence in Sapa district, living on agriculture and commercial services. 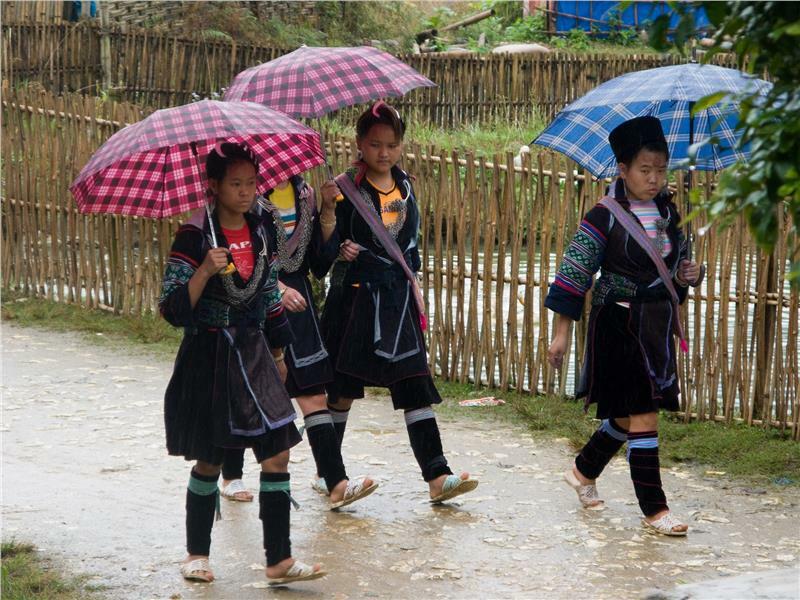 Notably, most of ethnic groups in Sapa maintained their own language and have so far used in their daily life. Tay, Giay, Dao ethnic people own their writing that is similar to Nom - kanji letter. Yet all of ethnic minority currently has written under the sign of the Latin alphabet. Vietnamese today is the common language in Sapa, which almost people here can understand and communicate. Many families in Sapa have radio, television or video. When communicating, tourists should only use their official ethnic name of Hmong, Dao, Day, Tay, Xa Pho. 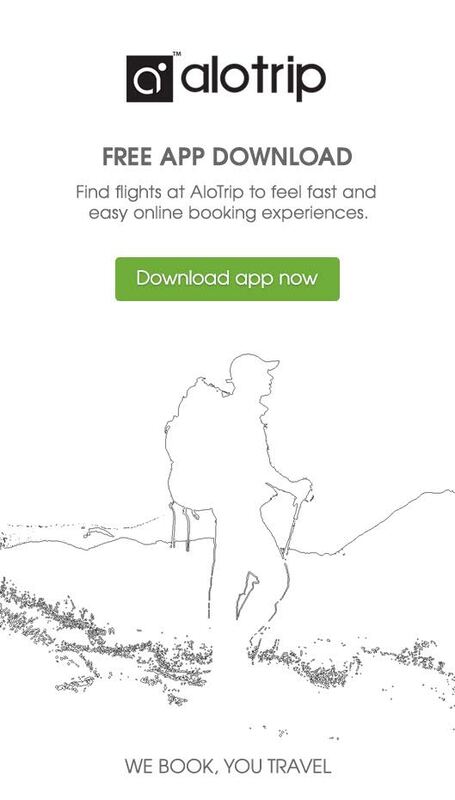 Tourism - service is a key economy sector in Sapa. 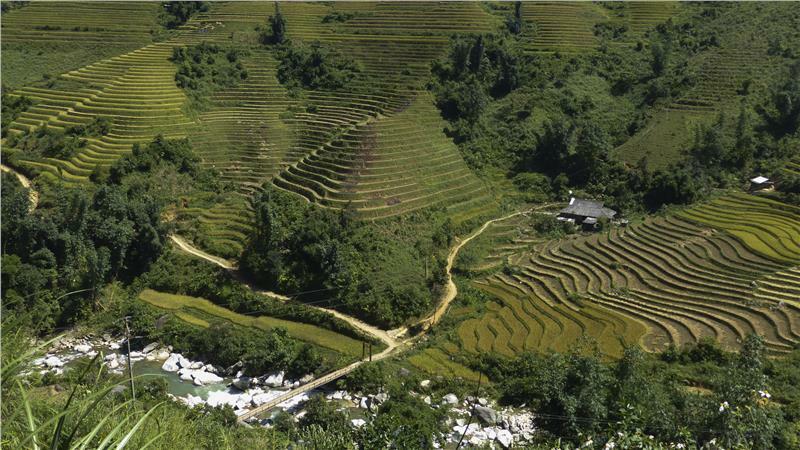 In recent years, Sapa tourism infrastructure has been constantly investing and upgrading. Up to now, the district has been the owner of 268 business facilities for tourism, accommodation services that currently offers 2,228 guest rooms, including 600 rooms getting 1 or more 1-star standard. In 2011, the number of tourists was about 520,808, reaching 100.2% of the plan with the revenue from tourism sector of VND 400 billion. Service sectors thus have been strongly invested and developed. Currently, the number of commercial business establishments has been increased 1.5 times and total retail sales up to 2.1 times compared to 2005. In particular, Sapa has attracted the attention and investment of many potential enterprises so far. Accordingly, in 5 years (2005 - 2010), the district owns 363 investment projects with total registered capital of VND 4,601 billion. Total revenue in 2011 reached VND 59.303 billion, achieving 137.6% of the allocated plan. Education and training: Education and training in Sapa recently has overcome difficulties and achieved many significant results. Currently, the district has 3 kindergartens, 24 primary and junior secondary schools, 1 High school, and 1 ethnic boarding high school. Correspondingly, kindergartens consist of 60 classes with 1,160 pupils, primary schools are formed of 7,363 pupils with 450 classes, junior secondary schools involve 1,358 pupils with 68 classes, and High schools comprise 392 students with 8 classes. The quality of education and facilities for teaching and learning are gradually improving. Healthcare: Health network has developed to villages with the 148 hospital beds, of which there is 50 beds in district health center, 30 beds in 4 regional polyclinics, and 68 beds in 18 commune health stations. Medical staffs are 126 doctors and nurses. Among them, 75 people belong to district health centers, and the other works in communes. In term of expertise, there are 13 general practitioners, 1 graduate pharmacist, 20 nurse practitioners, 11 school nurses, 39 elementary nurses. Despite many difficulties, such as limited facilities, transportation difficulties, and lack of treatment..., health care for people has been still respected and effectively implemented. Sapa peak with the height of 3,143m is on Hoang Lien Son Mountain Range. 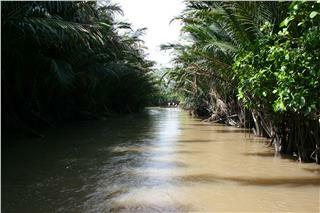 Hoang Lien Son range also maintained many precious wood species and birds, namely grouse, bear, monkey, antelope. In addition, there are 136 species of birds, 56 species of mammals, and 553 species of insects in Hoang Lien Son National Park, of which, 37 mammal species has been recorded in Vietnam Red Book. Sapa has many marvelous natural landscapes: Silver waterfall is blessed with the height of 200 m, Cau May (Cloud Bridge) is a historical relics of ethnic minorities in Sapa , Heaven Gate is the highest point to be able to comfortably admire Fansipan peak, Bamboo forest, Ta Phin Cave and Sapa ancient rock field located in Muong Hoa valley. Muong Hoa valley includes 196 exotic stone carvings of ancient residents which many archaeologists have not deciphered this information yet. The ancient stone carving area was ranked national relics and had been proposed to be a world heritage by State. Sapa is the "kingdom" of fruits, such as peach blossoms, golden peaches, plums, pear blossoms, cherry blossoms, chrysanthemums, roses..., which actually deeply leaves impression to eventually demanding tourists. 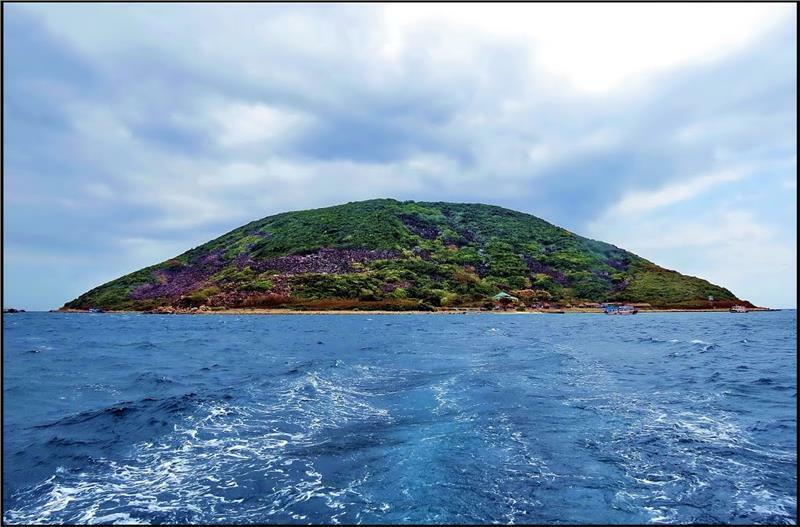 In particular, ancient rock field in Hau Thao commune and Ta Van commune was recognized as State-level historical cultural relics by Ministry of Culture and Information. It is one of valuable heritages of the ancient Vietnamese, which has so far attracted the interest of many scientists; simultaneously, it has been proposed to be world cultural heritage by UNESCO. Along with famous scenic spots, cultural historical relics, Sapa is the convergence of marvelous towering peaks and wonderful wavy terraces. There are many attractive tourism spots in Sapa tourists should not miss: Cat Cat Village, Sin Chai Village, Cat Cat Waterfall, Love Waterfall, Ta Giang Phinh, Ta Van Village, Ho Village, O Quy Ho Pass, and Sapa Stone Church. Each ethnic minority in Sapa maintains their own cultural festivals: "Roong poc" festival of Giay ethnic people organized in January in Lunar Year, "Sai san" festival of Hmong ethnic people, "Tet nhay" festival of Dao ethnic people is held on annual Tet Holiday. 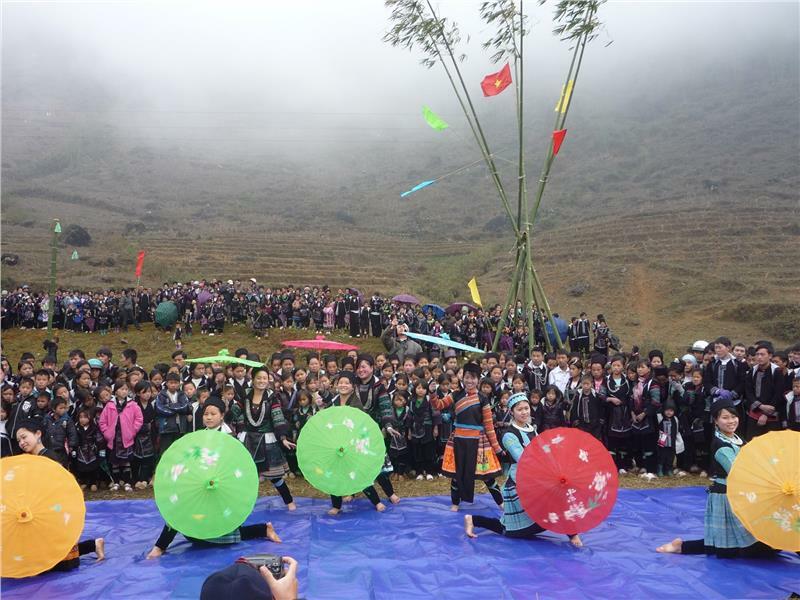 In addition, Sapa is also known as upland fairs. On days happening the fair, Sapa becomes much exciting than ever. The fair usually lasts from Saturday night to Sunday weekly. 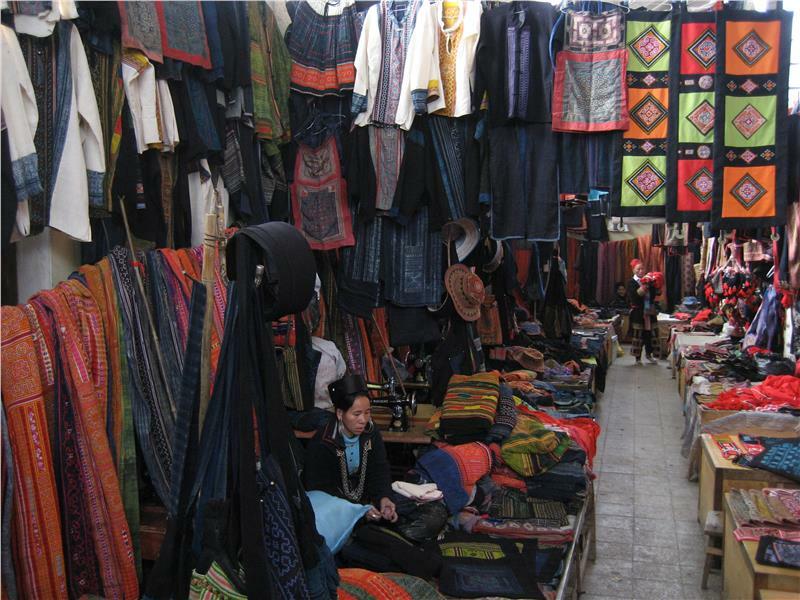 Sapa market is especially attractive for tourists coming from afar. It can be also called "Sapa love market" for beautiful Hmong young girls and boys here could find their own other half based on the sound of flutes, reeds, or by their own song lyrics. It is one of many unique culture features in Sapa. Being known as one of two parts in the Southern Vietnam, with a geographical position at the end of Indochina Peninsula, Mekong River Delta is an important transport hub to promote exchanges between Vietnam and other countries on the Peninsula. Located in the southern Vietnam, Southeast Vietnam has lots of strengths in terms of geography, transportation, and labor forces to develop economics, culture, society and tourism. 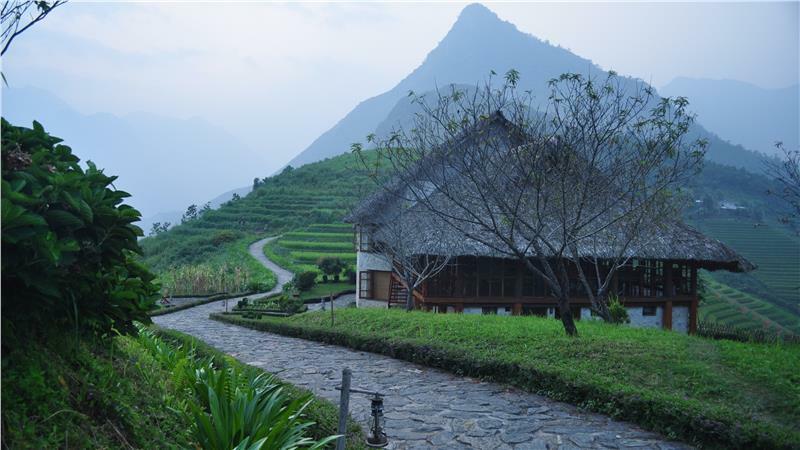 Being known as a highly mountainous region, Central Highland Vietnam has not many favorable conditions to develop economics; nonetheless, the land has its own strengths in culture and tourism that cannot find in other places of the country. Vietnam South Central Coast is a long and narrow land. This region was formed in a long history. Here is the land of wonderful landscapes and seascapes, contributing to the development of Vietnam economy, especially in tourism. 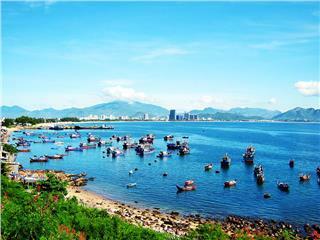 North Central Coast is one of key economic regions in Vietnam. It is adjacent to Red River Delta in the north, People's Democratic Republic of Laos in the west, South Central Coast in the south, and South China Sea in the east. 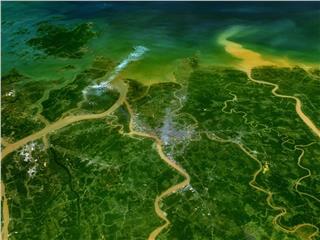 Red River Delta is a large land limited by lower stream of Red River in Northern Vietnam. This region consists of 11 provinces with many wonderful landscapes and seascapes. 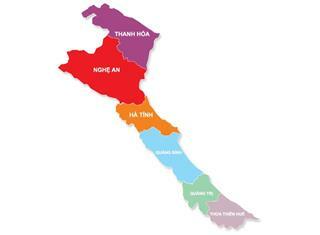 Economy in this region is developed compared with other regions in Vietnam. 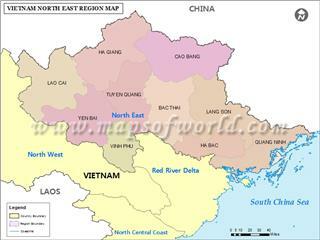 Northeast Vietnam is the territory in the north of the Red River Delta. The northeast is one of three natural geographical sub-regions of Northern Vietnam (Northwest, Northeast and the Red River Delta) with beautiful landscapes and seascapes. Thanks to its prime geographical location, Hanoi has favorable conditions to connect with other parts of the country, even international economical regions outside the country. 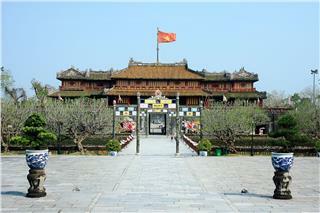 It is also one of the most famous tourist attractions in Vietnam. Ho Chi Minh City, a vibrant and charming city, converges all the conveniences of a modern metropolis. With a rising economy and modern facilities, Ho Chi Minh City is considered the economic, cultural, scientific, and technological hub of the country. Situated in the prime location in Central Vietnam, Hue is worldwide famous for wonderful natural landscapes, unique festivals, and hospitable local people. 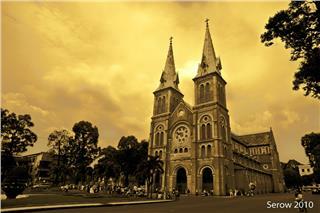 The city is worth one of most ideal destinations in Vietnam. 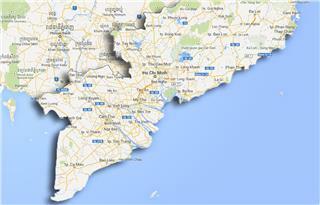 Located in the Red River Delata Vietnam, Bac Ninh Province is attracting the most high-tech enterprises in Vietnam. 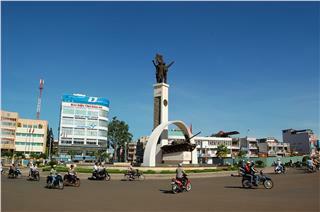 In addition, this is the place where the cultural identity of Kinh Bac region is reserved, especially Quan Ho singing. As a mountainous province near the international border gate, Lao Cai is home to 25 different ethnic minorities that have lived in the area for centuries. They have created the unique identity and customs for this province. Located in the Central Highlands, Dak Lak is the land with majestic waterfalls as a sketchy line of the charming painting and with the flexible features like the hair of fairy amidst the mysterious forest and mountain.